Inspiration is elusive. It tickles, disappears, it’s not always clear, and when the idea becomes an item, I can’t always say exactly where it all began and what affected me the most. Various pieces of fabric, colors connecting, people in the street, the city’s architecture, and all kinds of things I collected over the years are my inspiration, and together they comprise the basis for designing the clothes. Sometimes it’s just a strong internal intuition that leads me to a certain idea. History has a strong influence on all designers. Each year a historic time is declared to be the inspiration for fashion designers worldwide. 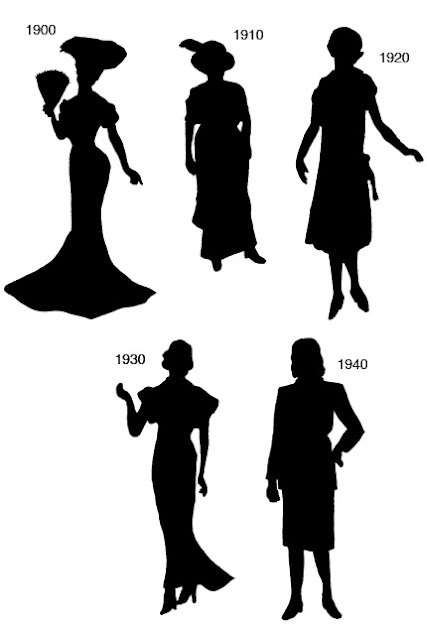 To understand the past you should know the typical silhouette of each decade, the silhouette the clothes created for the person wearing them. Many companies and individual designers invest a lot of time and money trying to shape an distinct silhouette that will stand out and create a brand with a unique signature. 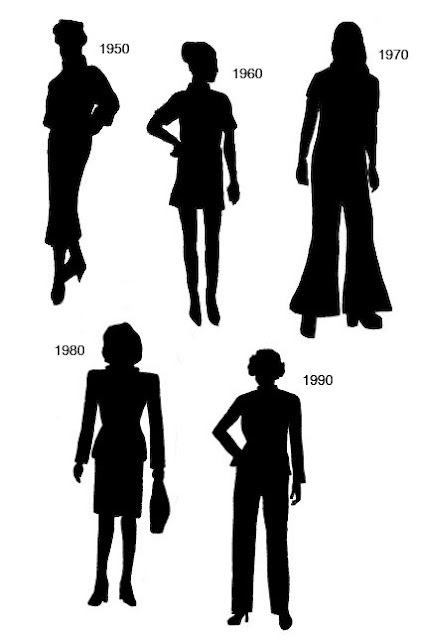 The silhouette has very much changed throughout the years, and many factors have left their mark on it. Getting familiar with history allows designers to evolve out of the present and create something new. The Victorian period, up to 1914, a period of plenty and very strict fashion codes. Typical silhouette of an hourglass - thin waist and long and wide bottom. The decade of the First World War, and the invention of the automobile. Women entered the work market and became more independent both economically and socially. 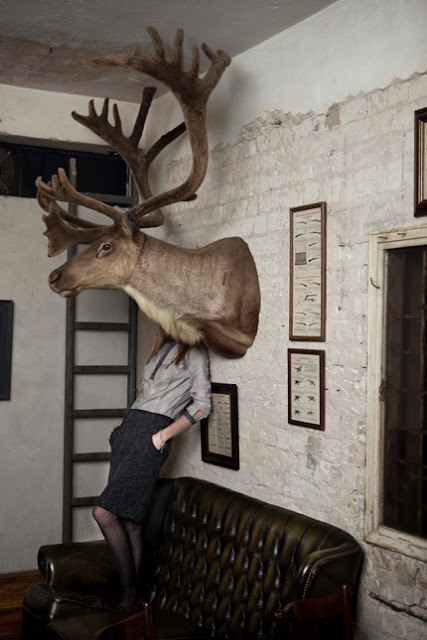 Strict fashion codes were unbecoming of the times. French fashion designer Paul Poiret led the trend of designing a less restrictive silhouette. The silhouette was characterized with narrow thighs, flat chest, wide shoulders and low waist - a smooth and formless silhouette; the skirts extended below the knee and above the ankle. The leading designers of this period were Coco Chanel and Jean Patou. A time where racism peaked, and the economy collapsed and brought with it a wave of unemployment. Parisian fashion houses suffered from a dramatic fall in business and many of them offered cheaper fashion lines. The 1920s’ silhouette was replaced with a soft and feminine one, and the waist line returned to its natural place. Women started wearing short trousers in public. The decade of the Second World War; the European textile industry was forced to take part in the war effort and was thus isolated from the rest of the world. The silhouette was very much influenced by the military. Wide and square shoulders, practical knee-high skirt length. In the fifties Paris regained its crown as the world’s fashion capital. During the post-war years women were encouraged to be “good housewives”. The silhouette was characterized by a knee-high pencil skirt and a close-fitting tailored jacket. This period marked the beginning of young people’s culture and the consumer society. Music, young people and their attitude towards fashion made a clear mark on the formation of the clothing silhouette of the sixties. In the early years of the decade, Jackie Kennedy was a very influential figure. ¾ sleeves, smart sets of two-part tweed suits. The silhouette was characterized by an “A” skirt of various lengths. Mini was the leading length, which the stalk-like model, Twiggy, modeled. The ability to travel freely around the world brought external influences into the fashion world – kimonos, caftans and the jellaba entered the central fashion houses. The rise of the feminist revolution and the equal rights movement formed a silhouette of loose-fitting clothes. The waist line was made unclear and the common pants were bell-bottoms, pattes d'éléphant. Platform shoes were also typical of the period. Aerobics and physical fitness presented a new body figure. Leggings and branded sport suits were very popular. The silhouette was mainly characterized by wide military-style cushioned shoulders, colorful oversized jewelry, wide belts and narrow skirts ending above the knees. Minimalism, less is more, the internet makes fashion global and less tyrannical. The individual is free to express him or herself, and it is easier to imitate the big fashion houses. It is difficult to characterize this period, but two part pant suits were very common. 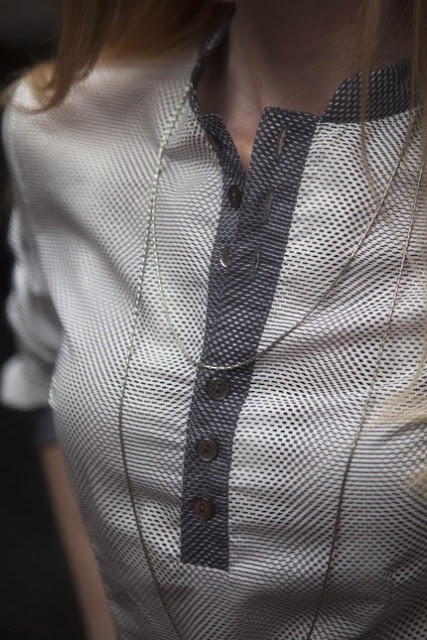 Narrow shoulders and slim shaded pants with a simple blouse and minimal accessories. I find the silhouette of the 2000s to be enigmatic. It is so chaotically affected by the past, that it cannot be defined yet. The past influences my work, but I can’t say I have one definitive favorite silhouette. I love knee high straight lined skirts, tailored loose-fitting outfits, gently touching and fluttering the natural body’s silhouette. I love gently stressed waists. But I do not commit myself to any one shape, my taste is ever changing and developing; in each silhouette I love one element or feature, and together these interlace and create a fusion which I cannot define. In this post’s photos, I am wearing a ‘Spotted’ black and white blouse and a straight grey and black ‘Boucle’ skirt.